Heat recovery steam generators are majorly used for the generation of power and electricity from exhaust or waste heat from various power generation plants. Moreover, inclination of government bodies toward generation of cleaner and optimal electricity to fulfill the demand for a continuously rising world population without harming eh environment has led to an increased number of combined-cycle power plants globally. Energy efficiency is the major factor for the large scale deployment of heat recovery steam generators which is anticipated to drive the growth of market considerably. Goldstein Research analyst forecast the global heat recovery steam generator market to grow at a CAGR of 6.4% during the period 2016-2024. Further, the global heat recovery steam generator market is predicted to reach USD 1.4 billion by the end of forecast period. The report covers the present ground scenario and the future growth prospects of the global heat recovery steam generator market for 2016-2024 along with the total sales of heat recovery steam generator in every region. We calculated the market size and revenue share on the basis of revenue generated from the sales of Heat recovery steam generator to various end user industries across the globe. On the basis of product type, horizontal units accounted for the highest revenue share of more than 65% in global heat recovery steam generator market. Factors like a rapid increase in Combined Heat & Power (CHP) plants in the Asia Pacific region and preference for horizontal heat recovery steam generator in the region will propel the factors of growth during the forecast period. Global Heat recovery steam generator Market Outlook 2016-2024, has been prepared based on an in-depth market analysis from industry experts. The report covers the competitive landscape and current position of major players in the global heat recovery steam generator market. The report also includes porter’s five force model, SWOT analysis, company profiling, business strategies of market players and their business models. Global heat recovery steam generator market report also recognizes value chain analysis to understand the cost differentiation to provide competitive advantage to the existing and new entry players. 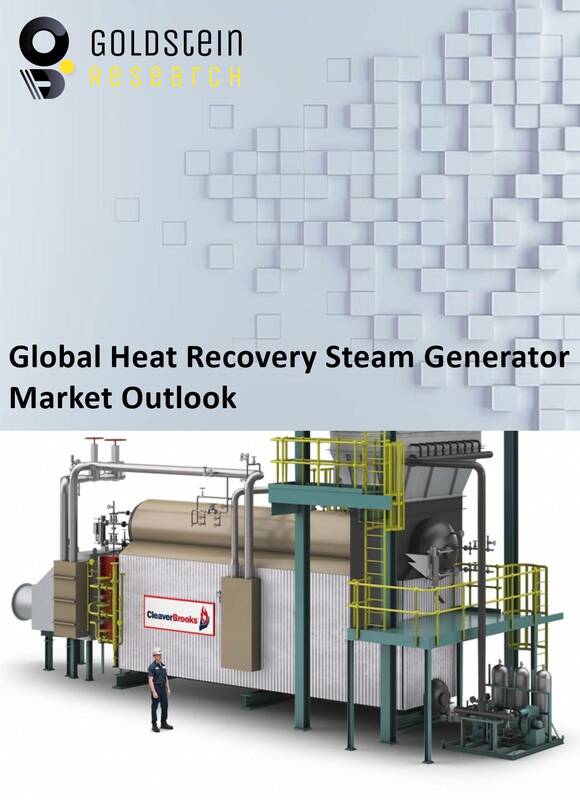 Our global heat recovery steam generator market report comprises of the following companies as the key players in the global heat recovery steam generator market: General Electric Company, Siemens AG, Amec Foster Wheeler plc., Babcock & Wilcox Company, Doosan Engineering & Construction Co. Ltd., Rentech Boilers Systems Inc., Hamon Deltak, Inc., Thermax Global, Larsen & Toubro Limited, Mitsubishi and Alstom Power. According to the report, major driver in global heat recovery steam generator market is growing demand and consumption of electricity across the globe especially in developing countries. Rapid urbanization is one the major factor in developing countries for the growth of gas power generation plants which will significantly propel the growth of heat recovery steam generators market in coming years. Further, the report states that one challenge in global heat recovery steam generator market is high cost of heat recovery steam generators. An upfront investment of several thousand dollars is commonly required to begin a project. Geographically, North America region dominated the global heat recovery steam generator market, with more than 30% revenue share in global market owing to presence of large number of power generating plants in the region. Asia Pacific region also showcases the immense opportunity for the market growth attributed to number of planned power projects in the region.